Lincoln's This and That Astrology Exploring astrology, divination, and achieving your highest potential. The interest in and the study of astrology has always been viewed in the recent past by the general public with curiosity and suspicion about the sanity of the individual practicing this art of divination. A casual interest in the subject matter may be considered fashionable and tolerable at various times in our modern world, but never necessarily, mainstream. These same skeptics can’t wait to hear what you have to say, especially, if what you are commenting on is about them. If your interpretation of who they are is not as how they see it, you will be immediately told without any hesitation. If what you say hits a chord, you may never know about it, as it may confirm that your interest may not be so crazy, after all. One of my many cynics and critics came up to me after Pluto was declared by the scientific society that it was no longer considered a planet, with a sense of triumph in his grin. Does that mean that astrology is all bunk after all, with Pluto being pushed to the back of the shelf? He said it loud and clear for all to hear with a look of satisfaction of one who has won an argument. I quickly replied with a very affirmative no, without any further explanation, as I was certain the justification of my answer would not be heard or understood at the moment. I have always worked with the modern planets, as a support to the seven planets, in the same way as I was taught by my first teacher. She understood from her spiritual teachings that Uranus, Neptune and Pluto were the higher spiritual octaves of Mercury, Venus and Mars as the transforming essence and energy in permitting us to understand and to work with their world. Without them we would be spiritually and creatively bankrupt, and would not understand the meaning of originality, change, love, beauty, action, and intent, etc. This always made sense to me as I have always thought that without Uranus’s adaptability for change and originality, Mercury’s gift as a messenger and a communicator would be lost. How would we understand or see the beauty and the compassion of Venus, if Neptune’s ability to imagine, to dream and to see beyond the box wasn’t there to help us to see beyond edges of reality? Mars needs to assert, to generate action, but without Pluto, how are we to realize or understand that these actions can renew, reintegrate, regenerate and possibly transform us? Pluto with its intent and intensity helps us to go beyond what we think are our limitations, and see what is beyond the horizon. These planets help the others to fully be themselves as they are the go between the mundane and the spiritual worlds. As the year subtly unfolds, one can observe through the weather patterns, the political situations, and the financial climate, something is amiss. The writing is on the wall or should I said in the stars, if only we could decipher without any illusions, what is about to befall us. With three eclipses right in a row behind us, the forceful energies of these aspects should be as clear as night and day. Our ability to see the true circumstances of our situation is hindering our perceptions, our understandings and our accomplishments. In the age of the computers we no longer see eclipses as messages and signs from the Universe to help predict what the months ahead will hold. In this climate, the 18 Gemini New Moon on June 8th 2013 at 8:55 am PDT is saying that any attainment is made up of passion mixed with knowledge. An old planetary aspect the kite seldom talked about involving Venus and Pluto is reminding us that reason and knowledge mixed with wisdom and passion is the only way to create those things that will rejuvenate our being, but it is important to persevere to the end. We need to stay the course even when we see the end, in sight. 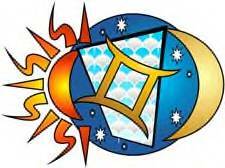 The Sabian symbol for the 18th and 19th degree of Gemini is taken from “The Sabian Symbols in Astrology by Marc Edmund Jones”, and what follows are my comments. Gemini 18 Two Chinese men talking Chinese This is a symbol of an everyday exclusiveness on the intellectual side of experience, the individual strengthened not as much by actual distinctiveness, as by a continual co-operation with fellow enthusiasts in various special area of interest. A species of uniqueness is idealized as a corrective for self-diffusion. There are here the potentials of high erudition and of an exceptional refinement of the personality along original or unusual lines. The keyword is difference. When positive, the degree is the effective mobilization of self and others for life’s more specialized objectives, and when negative, a thorough dissipation of selfhood through alien relationships. Gemini 19 A large archaic volume This is a symbol of the ultimate indestructibility of experience, so that any path once traversed may be taken again with a greater ease and a broader self-discovery. There is here the assurance of illimitable resources in wisdom, and the suggestion that this heritage may be made manifest at any time in an immediate and practical guidance. The past always provides an illumination of the present, and man achieves best as he cultures a real sense of obligation to his own roots. The keyword is background. When positive, the degree is a special capacity for the recovery of prior advantages or the effective disentanglement of present involvements, and when negative, a slavish worship of tradition and authority. This symbol speaks to learning and obtaining knowledge, but is it intimating that knowledge is power? Or is it asking us that we need to put this knowledge to good use? That knowledge alone stored up, is like old books on the shelf, never being read. Knowledge like any procession needs to be worked and used. This new moon is telling us we need to take what we learn and what we believe in, and mix it with our passion to create the world we want. That passion is the fire under our knowledge that will kick start new ideas into the realities we are searching for. That passion keeps us going when hope is thin, and will also see us through to the finish line. At the same time that we nourish our ability to learn, we need to nourish the right passions to keep us going when the going gets rough. This moon phase is reminding us that our thoughts are the foundation of who we are, but without the actions, it does nothing. It is telling us to walk our talk, if only for our own edification and approval. That any attainment we achieve will be a mixture of passion, wisdom, knowledge and reason. As we approach the Spring Equinox for the new anthropological year of 2013, we come upon the last New Moon before the period at 21 Pisces 24 on March 11th 2013 at 12:52 pm PDT. By considering the aspects with the other planets in the night sky, it becomes apparent it is signifying the necessity to review and to make a major change in our consciousness and our spiritual values. This phase of the moon is warning us not to look back, but to look forward to the future in a new light with the emotions and the viewpoints of seeing it as a child. In this way we experience each moment as something new and not some repetition of the past. With the grouping of planets known as a stellium in Pisces including Mars, Venus, Chiron, Mercury, and Neptune, it is indicating the areas we need to concentrate on, which is the following: our spiritual and transcendental thoughts and experiences, our values, our emotions, our intuitions, our imaginations and our creativity. A Stellium of planets is a concentrated and heightened level of focus in the area of the sign and house it falls in, in the chart one is delineating. This leads to the characteristics associated with the signs, the houses and the aspects it makes with the angles and the other planets, to be the influence and to become the dominant factors. It is not only felt by us as individuals, but within the larger picture of our community, country and the global whole as one. The type of influences affecting each group will be indicated by the chart used to represent each of them. Individually, it is determined in what area the stellium of planets are in our natal chart and the aspects it makes with it. In some charts the power to change the situation is subtle, but with others the underlying energy and force is so powerful, it becomes the main focal point during this period. However we feel the energy, whether it is slight or potent, we know the moment for action is now or never. “The Sabian symbol for the 22nd degree of Pisces is taken from “The Sabian Symbols in Astrology by Marc Edmund Jones”, and what follows are my comments. Pisces 22 A man bringing down the new law from Sinai This is a symbol of the eternal authority implicit in the very fact of man’s ideals, and of a spiritualization of experience through the religious insights of human society and the institutions it has created for the common welfare. The inspired prophets of each age have been custodians of an enduring morality, and this has its embodiment in the mountain-top aspiration of even the least of individuals. Right is dramatized as a personal responsibility for the course of events. The keyword is mandate. When positive, the degree is self sacrifice and a determination to further the ultimate upliftment of all men, and when negative, self-exploitation and impenetrable egotism. This symbol speaks to us of our inner spiritual and higher revelations which brings insights and awareness from a higher authority we need to begin to learn to rely on. It also speaks to us of our ability to have mystical and spiritual experience that can transform the way we as individuals and as a group live our lives. At its most lofty state, it has the ability to transform and to regenerate our personal moral integrity, our willingness for personal sacrifices and our personal commitment in making a difference in our own life and the lives of others. No matter how deeply we feel the energies of this New Moon, it is warning us not to look back, but to concentrate our energies towards creating a better future for ourselves and the planet. The concerted energies of the planets are reminding us that the power to create a better tomorrow is within each of us and the time should be now to bring into fruition our dreams. Starting from scratch or restarting over, one needs to begin with a clean slate, and this is demonstrated and exemplified as it is akin to the start of a calendar year or a New Moon that marks the beginning of a new cycle of possibilities, opportunities, potentials, discoveries and advantages that is within one’s reach. Throwing out the clutter, the thoughts and the confusions that accumulate through time and assorting those that are kept, according to one’s present priorities. These feelings and concepts are still within our consciousness and are backed by our New Year resolutions just recently made. In this atmosphere the first New Moon in the calendar year makes it’s appearance at 21 Capricorn 45 on January 11th 2013 at 11:44 am PST repeating and embellishing the thought that we need to convey and sustain our beliefs, as we begin a New Year and new epoch of growth, if we hope to maintain balance in our world. A stellium is a conjunction of planets and with this period of time in the night sky includes the Sun, Moon, Mercury, Pluto, Venus and Juno in Capricorn. It is concentrating its energy and power, indicating a period of renewal and reenergized effort in getting things completed and finished. With this force and power directed by the Universe, we as individuals need to work with these energies to improve and to reach our own dreams and desires. These planets are asking us to help transform, transcend and to make a commitment to our beliefs, our relationships and to what we consider that has influence and meaning in our lives. How we and others around us, see our energies, our time, our talents, our assets, our resources and how we work with these qualities will determine our results, our success, our happiness, our satisfactions and what we consider to be important and what we will achieve during this period of time. “The Sabian symbol for the 22nd degree of Capricorn is taken from “The Sabian Symbols in Astrology by Marc Edmund Jones”, and what follows are my comments. 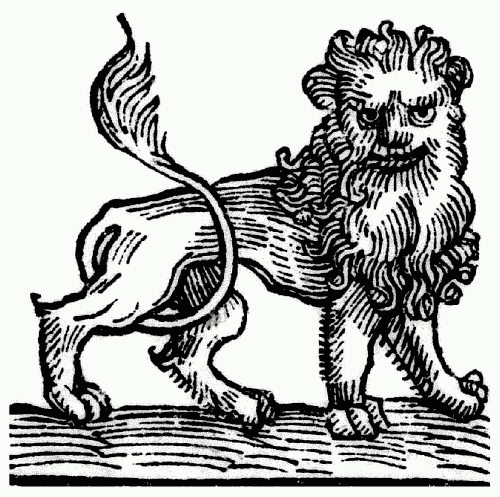 Capricorn 22 A general accepting defeat gracefully This is a symbol of the immediate opportunities by which the human will develops the real power, and of its underlying and uncompromising loyalty to the long-range ends in view. A realistic practicality is made effective through a self-disciplined grace of spirit, so that men are won over very often by the enemy they have defeated. The individual exalts his destiny as he finds its roots established in values accepted by his fellows as well as himself. The keyword is expediency. When positive, the degree is a genius for learning from experience and transforming setback into accomplishment, and when negative, irresponsible acceptance of the worst and insensibility to self-inadequacy. This symbol is so timely, as it is implying and at the same time insisting that we see and consider the whole picture and situation we are in, and by deciding on a strategy before any decision or action can be made. It is asking us to face the facts of the circumstances, and if it is inevitable that we need to admit to defeat or to retreat, one needs to lay a side one’s pride and strategically plan and devise other avenues and solutions. It illustrates and demonstrates the principle that to lose a situation or several in a row does not mean that we do not successfully accomplish what we set out do in the first place. In its most positive aspect, it is turning every loss to an advantage and every defeat to a victory. To remember that every set back is temporary and is something we learn from and learn to overcome or work with. The key is our strategy and our ability to adapt and improvise when needed. This Capricorn New Moon is repeating, reminding and embellishing that how we convey and sustain our beliefs is the foundation of our strategy in life and how we put it to use in achieving our goals and wishes. Symbols have always been very important in my life, as they represent something without being defined by a set and selection of words, describing what it means. The symbols can invoke different feelings and emotions in me, depending on the moment in time and in what association the symbol brings to mind. The American Heritage dictionary defines symbol “as something that represents something else by association, resemblance, or convention, especially a material object used to represent something invisible. 2. A printed or written sign used to represent an operation, an element, a quantity, a quality, or a relation, as in mathematics or music.” I have never placed too much emphasis on the asteroids as my priorities laid elsewhere, but the symbol for Vesta has always had a soft spot in my feelings and thoughts. The symbol invokes in me the deepest regards of the eternal light that burns within each of us. This symbol to me represents flames ever burning and ever reaching for the higher spheres, and represents to me the need to go within our higher self to meditate on our purpose in this life and to tend with sincerity and intention to our own inner flame and requirements. Vesta is one of the brightest of the asteroids and is associated with Roman mythology as the Goddess of the hearth and fire, and is linked with the aspects of Scorpio and Virgo signifying great concentration on any given task to the exclusion of everything else. With her vestal virgins, she is the keeper of the eternal flame, the self- perpetuating sacred eternal illumination. Vesta is vigilant, committed, dedicated, directed, devoted and brings a capacity for pureness of expression for the highest potential and essence of its beliefs. The goddess brings into each individual the attention, the strength, the purity, the perfection and the reason for the journey in this life. My interest in Vesta was rekindled recently by an article in the Mountain Astrologer Magazine issue #164 august/September 2012 entitled “Vesta: Driven toward the Sacred” by Dawn Bodrogi. She explains that whatever house the asteroid is placed in, describes what we instinctively honor and with a pure heart and deeds, where we hope to fulfill our destiny. With one single minded determined vision and action we will make the ultimate sacrifice for whatever and for whomever we feel is our purpose without questioning the basis for our decisions or our thoughts. After having accomplishing and achieving our sacred goals, we may feel tired and exhausted, but satisfied and feeling right with our self and the world at large indicates that Vesta is in harmony in our chart. Aspects of this asteroid give us a sense of urgency, passion and desire. I began to look at other charts before I made up my mind whether it will be another tool added to my files in delineating any chart. I was shocked to find that it explained my friend’s strong conviction in relationships by the author’s explanation of the aspects to Venus, Pluto, Mars and Saturn. Her descriptions seem to describe him to perfection that I began to see if it make any sense to the other charts I had in my files. To my surprise, it either confirmed other aspects or gave a clear subtle explanation of something I hadn’t seen before. My problem with her article is that I wish it was a bit longer, but otherwise it was quite informative. The one thing the article did, was to tease me, and made me want to learn more about Vesta and in what area of our life we would become vigilant, committed, devoted and dedicated to a cause we believe in. As the world turns, it seems to be speeding faster into tomorrow, ever since the twenty first century began. So it appears that the year 2012 is taking its cue from all the incredible technological advancements, and zooming ever so faster into the next year. I t seems like only yesterday, which was the beginning of the year, but already the 23 Virgo 37 New Moon is making its appearance on September 15th 2012 at 7:11 pm PDT emphasizing our need to let go and go with the flow. With Mars square Venus Trine Uranus square Pluto sextile Chiron, the need to take drastic action because we are pushed into it, is essential at the moment, even if all we do is to improvise as the situation continues its forward motion. At the moment the aspects are telling us not to reason why, but to make the best of what is happening and to try to get in touch with our higher inner self for revelations, to help us make some radical changes and decisions to secure a better future. It is also telling us to return to the time when the power of love was the theme and the aim of a new revolution and revelation. This time it is not a freedom loving revolution, but a compassionate renewal for all things created by the Universe. Unless we begin to see that all life and things created by the Universe is interconnected and needs to live in harmony, then only chaos can be the result, and that is what we are seeing all around us at the moment. Unfortunately, unless we begin to take action to make some far-reaching changes, the results of our causes and effects, will come upon us sooner and more sweeping and dramatic, then we could ever imagine. The Universe in its compassion is directing our higher thoughts to the direction we need to take, but we need to continue the movement by active participation, if we are to avoid and to side step some of the trials and tribulations of our own making. It is directing us to the flow, but now we need to take control and work with it. “The Sabian symbol for the 24th degree of Virgo is taken from “The Sabian Symbols in Astrology by Marc Edmund Jones”, and what follows are my comments. Virgo 24 Mary and her white lamb This is a symbol of the self-adequacy of experience on the inner or subjective side, or of that fullness of life which comes through a cherishing of young ideas. The healthy approach to heaven through a child’s wide-eyed expectation is a clue to the adult’s responsibility for his potentials. These he must take with him in a very conscious fashion wherever he goes if he is not to find himself divided within himself and so defeated by his own confusion. The keyword is artlessness. When positive, the degree is illimitable patience and adroitness in personal accomplishment, and when negative, futile show-off and idle boasting. This symbol speaks of the necessity for us to see the world with a youthful perspective, by seeing life through the eyes of a child. This symbolizes the innocence, the trust, the purity, the receptivity, and the experience of being without the complexities that come from age and the repetition of life. Our responsibility is to let go of what we think we can and cannot do and to reawaken the potential that everything is possible with no limitations to accomplishing our dreams, or experiencing and seeing the wonders that life has to offer. Our responsibility and greatest advantage lies in our ability to keep an open mind and to always expect the best. With this attitude, the drastic modifications we need to make will be seen as opportunities instead of the necessities of change. As we approach this Virgo New Moon, let us remember that the drastic change we need to make at this time may be to let go and go with the flow trusting in the wisdom of the Universe. As the world continues to turn with its bumpy ride through the year 2012, countries are realizing that they are not alone, but actually depended upon each other for their welfare if they are to get through the financial crunch without a domino’s effect hurting everyone. In this surrounding atmosphere the 25 Leo 09 New Moon on august 17th 2012 at 8:56 pm PDT makes its appearance highlighting the need for the will and the commitment to work for the good of the whole instead of just the me, as we continue for our survival through difficult times. The Leo Moon sextiles Saturn conjunct Mars and making an aspect to both Pluto square Uranus with Venus in opposition to Pluto and square Uranus. This New Moon phase is a reminder that each of us is a spark and a creation of the Divine, expressing our individuality in the cosmic picture, but yet at the same time we need to realize we are connected to one another by the divine essence that runs through each of us. The whole picture is greater then its part emphasizing the phase “United we stand, divided we fall”. This statement is not only extremely appropriate at this time in the larger picture as a community and globally, but as individuals, if our emotional, intuitional and intellectual being are in conflict to one another, our ability to fulfill our goals will be futile. “The Sabian symbol for the 26th degree of Aquarius is taken from “The Sabian Symbols in Astrology by Marc Edmund Jones”, and what follows are my comments. Leo 26 A rainbow This is a symbol of the over-all realization which comes to man for his guidance whenever he strives to reach his goals of a more enduring sort. Here is assurance of divine participation in the most unpromising of human relationships. The individual learns that there is a consistent ordering throughout the world in which he finds himself, and that nature will co-operate effectively with every vision he chooses to keep alive on his own account. The keyword is significance. When positive, the degree is a sense of very real spiritual power and presence in all personal effort and desire, and when negative, an uncritical acceptance of every passing hope or dream as something on which to depend. This symbol speaks to our inner higher self in the realization of our connection to the Divine spark and to the guidance and hope it gives to us through the signs in nature of the presence of the Divine in all things with the gifts of aspiration, wish-fulfillment, faith, encouragement, and inspiration in knowing that at the end of the rainbow is the pot of gold. The rainbow is the traditional symbol of hope dramatizing the need for faith and trust and the use and application of spiritual principles and standards for the good and benefit of all. It is not in the pursuit to find the end of the rainbow, but the expectation, the visualization, and the thoughts of what is to be expected and looked for that develops our potentials which become the pot of gold. It is the knowledge and the understanding that by using these spiritual principles and spiritual laws for the good of everyone, rather then for the few, that our vision and imagination will supersede its expectation. As we approach this 25 Leo 08 New Moon, let us gain the will, the will power and the commitment to work for the good of the all and to realize we are all parts of the greater whole and the all.